Maybelline New York launches Its First-Ever Lightweight Matte Lipstick – The Powder Mattes* | Vanity and Everything in Between. Manila, 2017 – While many makeup junkies are still head over heels for matte lipsticks, they are more than familiar with how their favorite mattes may feel dry and heavy on their lips. Girl, fret no more! Gone are the days of dry and heavy matte lipsticks as we welcome Maybelline New York’s first ever lightweight mattes, The Powder Mattes by Color Sensational from Maybelline New York. 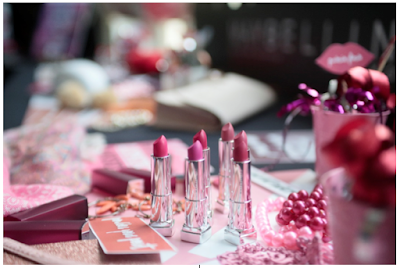 This newest collection was launched in an airy, peppered in pink, red, and white party, which also introduced the newest addition to the roster of Maybelline girls – Kelsey Merritt. Another highlight of the event was the introduction of Maybelline Philippines’ newest brand ambassador, Kelsey Merritt. wearing Plum Perfection from The Powder Mattes lipstick collection. 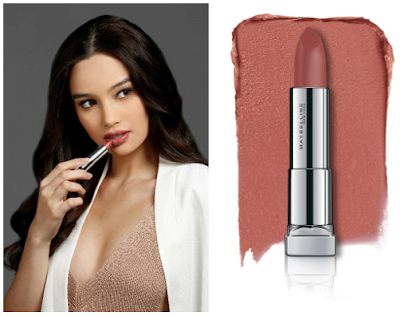 “We’re really excited to work with Kelsey Merritt this year as our newest Maybelline girl especially because she truly exhibits what a Maybelline girl is – someone who makes it happen,” says Cary Co, Marketing Director for Maybelline New York. “With Liza Soberano who endorses our Face and Eyes products, Kelsey will be our lead ambassador for Lips,” Co adds. The Powder Mattes collection will be available at Maybelline counters starting March 2017 for P299. To know more about Maybelline’s promos and for updates, visit Facebook.com/MaybellinePhilippines and get inspired by our Instagram account at @welovemaybelline.